Every time news coverage of actress Anne Hathaway spikes, so does Berkshire Hathaway stock. At least, that’s the fantasy Nobel Prize-winning economist Paul Krugman promoted on his New York Times blog this weekend. Why? The claim is that it’s the fault of robotrading algorithms, which now account for most of the market, and which sometimes rely among other things on trends in news coverage. That’s the kind of dumb mistake human traders wouldn’t make. Unfortunately, they’d make other kinds of dumb mistakes. “I, For One, Do Not Welcome Our Dumb Robot Overlords,” writes Krugman. Yes, the fearsome Hathaway Effect is based on eight dates in a two-year period analyzed by a professional media manipulator. But … but … studies show! Yeah, one “study” of a handful of data points. Berkshire’s stock most certainly was up on Oct. 3, 2008, but there was more than an opening for Anne going on. Just two days prior, the stock had jumped almost 5% after Buffett got a dandy deal on perpetual preferred stock from General Electric (NYSE: GE ) .Meanwhile, on Feb. 8, 2010, did Anne Hathaway’s movie push up Berkshire’s stock? Or were investors anticipating the heavy buying from index funds that would be forced to add Berkshire to their holdings after it replaced Burlington Northern Santa Fe in the S&P 500? The March 5, 2010 gain we can write off even more quickly, since the S&P gained nearly double Berkshire’s jump that day. What good is the Anne Hathaway signal if the stock still underperforms the rest of the market? And of course, all good Fools know that the weekend of Feb. 27, 2011 something happened that was much more important than the Oscars — the Berkshire Hathaway annual shareholder letter was released. My wild guess is that the stock gains that Friday reflected anticipation about the letter, while Monday’s pop was due to Buffett’s bullish outlook in the letter. Now run along, Paul, and check the inside of the fridge to see if a tiny Anne Hathaway turns the light on when you open the door. 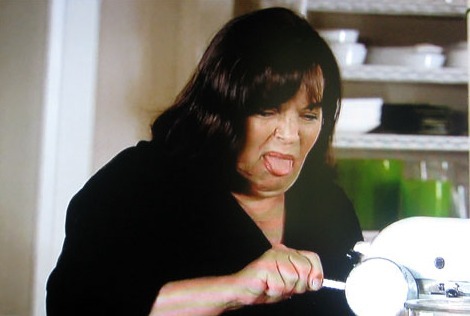 I always thought there was something a little off about Ina Garten. The woman substitutes basil for cilantro in her chili recipe. What kind of animal does such a thing? The “Barefoot Contessa” star allegedly turned down a request from the Make-A-Wish Foundation. The foundation reportedly tried to contact the celebrity chef twice on behalf of a six-year-old boy suffering from leukemia who wanted to cook with her. And twice they were rebuffed. We’re told the organization went back to Ina this year … but her team responded with a “definite no” … once again, citing scheduling conflicts. Of course, The Contessa has been swamped for ages, what with entertaining celebrity friends like Alec “my daughter is a ‘pig’” Baldwin, writing checks to Obama for America, and hosting Planned Parenthood Benefits at her home. 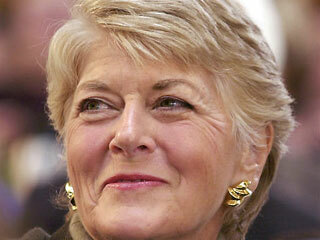 Whether you are a Dem or a Repub, you have to admit, an extraordinary woman has died. She was the first and it meant so so so so much. Fred Phelps and his Westboro cultists immediately began to celebrate the 1984 VP nominee’s death. She taught nation proud sin. She’s in hell. #WBC will picket public memorial. #Westboro rejoices when God kills His enemies! I proudly support the First Amendment right of Americans to picket each and every Phelps family funeral. Vile gutter sludge.